It has been announced that “selfie” is the Oxford English Dictionary’s word of the year, so I had a look back through my images from 2013 and chose this as my favourite selfie. 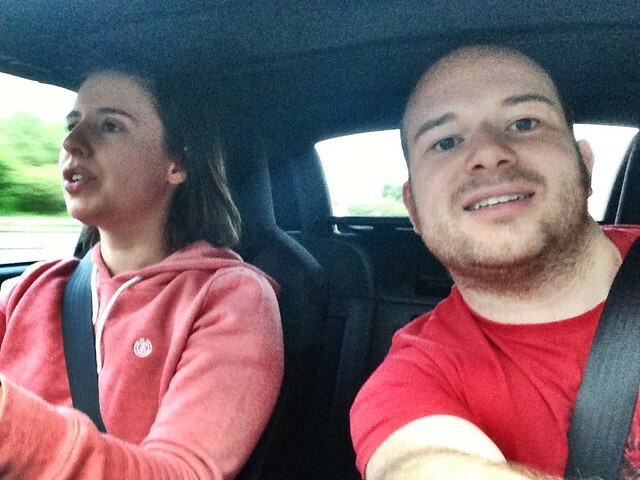 I took it while Jen was driving my MX-5 on the way to Scotland and I apologise for the roof being up! If two posts in a day is a surprise after a lean couple of months it is because I am on a coach to the airport, so have a bit of time on my hands. I’m seeing out my twenties with a couple of trips away, Japan, where I’m heading now, then New York with Jen for my actual birthday. Although Japan is mainly a work trip, I will have some free time in Tokyo and will also be going to the Tokyo motorshow. I’ve packed my camera, so hopefully I’ll have some pictures to share when I get back. Or more likely when I get back from New York, given I’ll only be home for 36 hours between the trips. I’m sure I’ll have plenty to share from the New York trip – it must be the most photographed city in the world! I’ll try to blog daily from New York as our families like reading what we’ve been up to each day and I like reading back over past trips. This entry was posted in Personal and tagged Japan, New York, Photo by Lewis. Bookmark the permalink.